Join the Gustavus Community in celebrating the Fine Arts during Honors weekend with the Senior Honors recital May 6, at 1:30 p.m. in Bjorling Recital Hall followed by the Choral Showcase on May 6, at 3:30 p.m. in Christ Chapel. 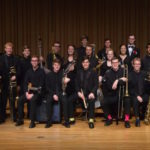 The Gustavus Jazz Lab Band and Adolphus Jazz Ensemble will perform a concert Friday, May 5. at 7:30 p.m. The concert will feature guest artist, Adam Meckler on trumpet. The performance will be held in Bjorling Recital Hall and is free and open to the public. Brian Buckstead, conductor of the Gustavus Philharmonic Orchestra, will lead the ensemble in its annual fall concert in Jussi Bjorling Recital Hall on Friday, November 21, beginning at 7:30 p.m. 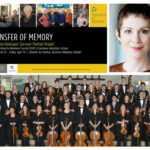 Admission to this Department of Music presentation is free and open to the public. The Gustavus Percussion Ensemble, under the direction of Paul Hill, will presents its fall concert on Sunday, November 23, beginning at 1:30 p.m. The performance, held in Jussi Bjorling Recital Hall, is free and open to the public. Under the leadership of Ann Pesavento, the woodwind ensembles of the Department of Music at Gustavus Adolphus College will present their fall recital Sunday, November 16. The event includes performances by the Gustavus Chamber Players, Gustavus Flute Choir and the Gustavus Woodwind Choir. It begins at 3:30 p.m. in Björling Recital Hall and is free and open to the public. Lutheran Summer Music, a four-week summer music training program founded in 1982, returns to the Gustavus Adolphus College campus June 23 - July 20. More than 150 young musicians and an outstanding faculty of artists and musicians from across the United States will take part in this intensive educational session and present more than 20 recitals and concerts on the campus during the course of the month. Michele Gillman, an instructor in the Department of Music at Gustavus Adolphus College, will lead a cast of faculty members, students, alumns and friends in a recital of new compositions, Cirque de les Ridicule, Sunday, May 18. This performance includes performances and works by Gillman, Gustavus alumnus Paul Fraser, Jeffrey Kowalkowski, Paul Tierney, Phillip Cooke and Justin Merritt and begins at 3:30 p.m. on Sunday in Jussi Bjorling Recital Hall on the Gustavus campus. It is free and open to the public. The annual Brassworks! concert, showcasing the work of the Christ Chapel Brass and the Gustavus Trombone and Brass Choirs, will be presented in Bjorling Recital Hall at 7:30 p.m., Sunday, May 18. This concert conducted by Scott Moore is free and open to the public.